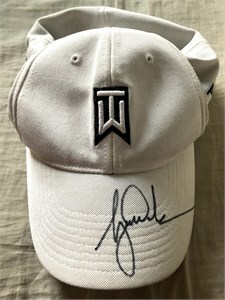 Beige Nike 20XI golf cap or hat autographed on the bill in black marker by the one and only Tiger Woods. Obtained in person at the Farmers Insurance Open PGA Tour event in San Diego. With certificate of authenticity from AutographsForSale.com. ONLY ONE LEFT. PLEASE BE AWARE THAT 99% OF NON-UDA TIGER WOODS AUTOGRAPHS OFFERED ON THE INTERNET ARE FAKE (INCLUDING THOSE AUTHENTICATED by GAI, JSA OR PSA/DNA). 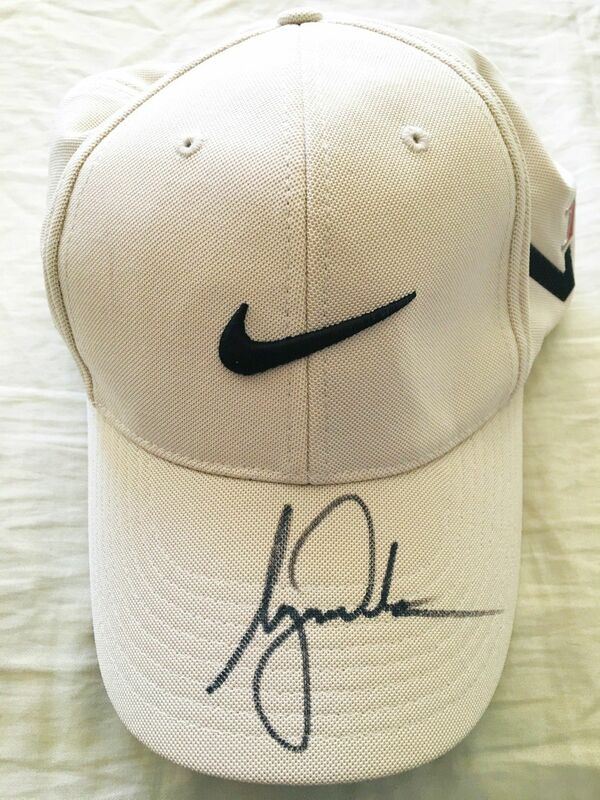 This autograph was obtained in person at the 2013 Farmers Insurance Open in San Diego.